Due to its high composition of a unique form of healthy saturated fats, coconut oil is the most stable of all commonly used fatty acid sources. This stability is very important because it reduces the free radical load on our bodies. Coconut oil is even considered to be as an antioxidant due to its resistance to oxidation and free radical formation. The saturated fats found in coconut oil, unlike other saturated fats, can raise thermogenesis (a metabolic process during which your body burns calories to produce heat) and stimulate fat burning from the body. You can include extra virgin coconut oil into your fitness program by following these tips. Start your day by taking two teaspoons of coconut oil in the morning instead of butter, bread, and grease. Though coconut oil is solid at room temperature, once it is spread on warm bread or toast, it will melt like butter. You can also sprinkle some cinnamon for a better taste. Thirty minutes before working out, you can mix a teaspoon of coconut oil into the water or sports drink that you consume. Doing this will make you feel the energy almost immediately. After you exercise, you can add one to two teaspoons of coconut oil in your meal. It will help you burn fat, fix the balance of hormones and help to regenerate muscles. Add 1 to 2 teaspoons of coconut oil in your protein smoothie. This will help ward off hunger, burn more fat and keep energy levels high. Combining whey protein with coconut oil in these shakes forms a potent synergistic formula for building muscle and burning fat. Add coconut oil to your coffee in place of cream or drizzle melted coconut oil over desserts. Healthy fats from coconut oil can help prevent insulin spikes that promote body fat storage. Plus, by adding the oil in your dishes, you can keep your energy high and help you stay lean. Use two tablespoons of coconut oil when you cook fish, steaks, chicken, and other meats. It was found that the fats from coconut oil are highly resistant to heat, thereby making it ideal for frying since they do not easily lose their chemical structure or converted into trans fat like other oils. 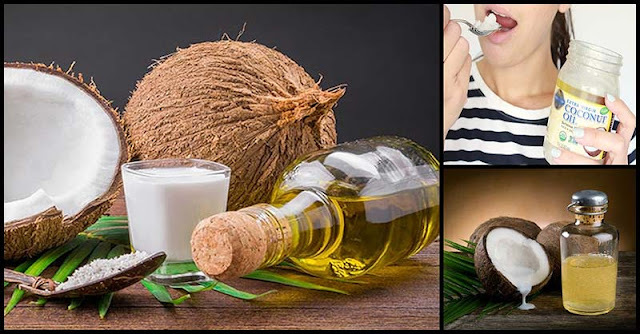 nice bload i learned more..
nice blog i learned more..
Why using photos of Yellow Coconut Oil which is RBD Coconut Oil instead of White Coconut Oil which is Virgin Coconut Oil! Is this the way in promoting coconut oil abroad? To promote only he health benefits without realizing if its process on clean and dirty way? Coconut oil has many Health Benefits but using dirty coconut oil causing harmful effect in the body!